Chinese tech giant Huawei is set to launch their latest flagship Mate 20 Pro in India. As per IANS, the phone will be released in the country on November 27. Recently, Huawei has surpassed Apple to become the world’s second-largest smartphone maker, but the company has been inconsistent in India. Instead, its sub-brand Honor has gained tremendous popularity over the last two years. However, the plans for India seem to have changed as Huawei launched the whole P20-series in India this year, and for the first time, it’s bringing the long-awaited Mate-series in the country too. Along with the Mate 20 Pro, the company will also introduce their wireless charger in India. The smartphone will also be the first device to land with the 5G-ready 7nm Kirin 980 chipset. 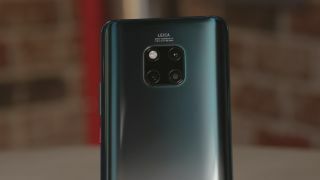 Similar to the P20 Pro, the Mate 20 Pro’s highlight is its Leica branded triple cameras on the rear. There’s a 40-megapixel wide-angle lens, a 20-megapixel ultra-wide angle lens, and an 8-megapixel telephoto lens. It is said to come with 6GB RAM and 128GB of storage, but we might also see other variants of the phone at the launch. The smartphone runs EMUI OS based on Android 9 Pie and has a massive 4200mAh battery to power it up. While we are still waiting for the Mate 20 Pro to arrive in India, David Lumb from TechRadar US has been using the phone soon after the release. Here’s (Review) what he thinks about the Mate 20 Pro.